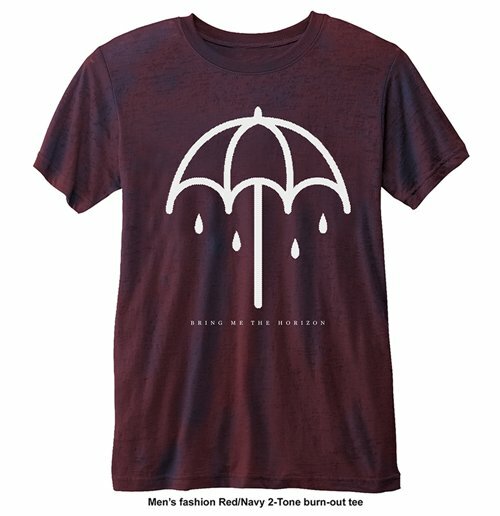 T-shirt Bring Me The Horizon Umbrella. Blu/Rossa con stampa frontale. Poliestere/Cotone.